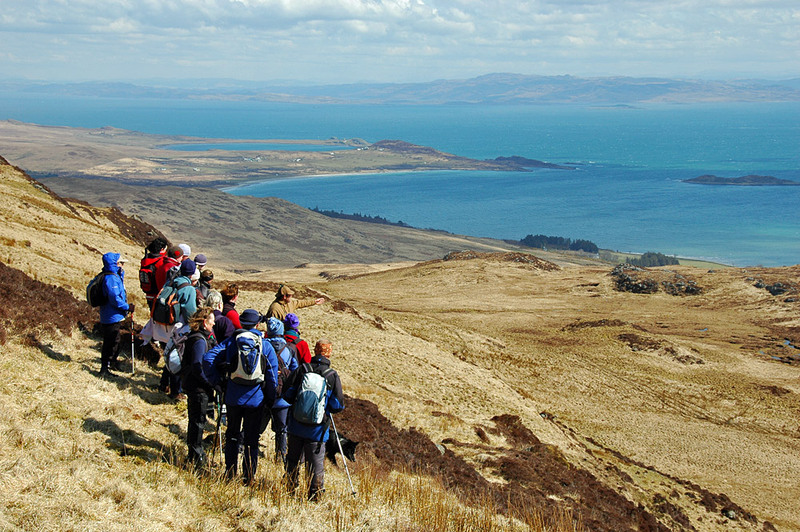 A picture from an Islay walking week excursion to the neighbouring Isle of Jura. The view is over the east coast and the Sound of Jura with the mainland in the distance. Loch na Mile below, Lowlandman’s Bay behind it. This entry was posted in Cloudy Weather, Jura Excursion, Landscape, Repost, Sea Loch, Sunny Weather and tagged Jura, Loch na Mile, Lowlandman's Bay by Armin Grewe. Bookmark the permalink. Gordon Muir, Louise Muir remember this walk? Is that on Dubh Bheinn or Glas Bheinn somewhere? Jura is next on my to do list! And I want to go see George Orwell’s house, ‘Barnhill’. yes – could do with a good walk!